It&apos;s like a miniature version of Bosnia and her White House "experience". It was a good and respectable haul, but then they had to just go and lie about it. An email from Terry McAuliffe, Clinton campaign chairman, that I received three hours ago, says "More than 50,000 people have contributed to the campaign for the very first time in the last 24 hours alone." If 80% of Clinton&apos;s donations are from new givers, that implies a total number of about 60,000 donations. If we&apos;re very generous and assume an average donation of $100, which is high for first-time donors, that gives Clinton a current take of at most $6 million. 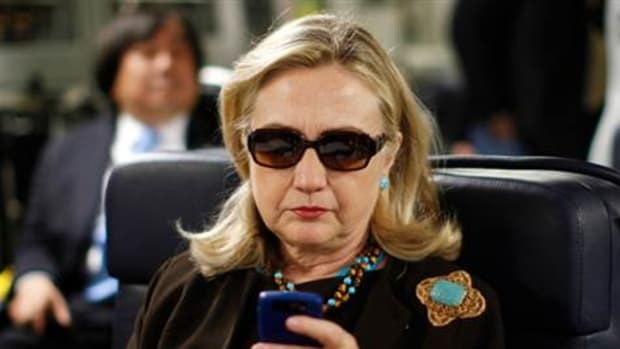 New Clinton Blogger Meme: Oh Noes!!! Obama Is Buyin' Teh Elekshuns!!! Will Clinton Go Independent ?